I asked myself these questions, as I watched an awesome bunch of enterprising business women make brave presentations before a panel. The panel comprising of Prajakt Raut, Swati Bhargava and Ankur Warikoo was a robust team, all being people who had enough experience in saying what sells and how! The trick was of course to convince them that your business sense, well, actually makes sense! Really...the business of doing business is never easy! It's like an ever complex algorithm that keeps evolving over a period of time. But what if I told you that there lay a clue hidden in a small, simple word? Let's make it really easy now - "What is Your Business Story?" Try answering the above complex questions with a story now. But wait! WHY tell a business story in the first place? That can be a pretty complex answer in itself, so let's clip it really short. The truth is that everyone likes a good story. In truth stories affect the heart and mind, making action subtle and natural. Stories have the power to move and initiate action; just the right action that your heart desires. If you were asking me, I’d say, every business has innumerable stories tucked in its heart. And if you want to do effective business, you have to know that people don’t buy products, they buy stories! You want to flesh out your business ideas? TELL A STORY! Want to sell your product? FIGURE OUT YOUR BRAND STORY! Want to market your product? WHAT'S YOUR SUCCESS STORY? Want funds for your venture? WHAT'S YOUR DREAM STORY? Want new partners or like-minded associates? ASK FOR THEIR STORY! The SHEROES event in Delhi this year, gave women a brilliant platform to share their business plans. The number crunchers did a fantastic job of drawing up complex data and showing what running a business meant, some others fuelled by their ambition and dream struggled to communicate their business needs, some others missed the 'Why Us' stop completely, while no one elaborated on the 'brand story'. For some it was the first time someone asked them to present a business plan...so momentous was the task that it became a complex exercise of making sure that everything went according to definition. In all these presentations I couldn't help but notice that no one stopped to tell a story...well, maybe one...but it was the wrong story to tell! Telling a story is not rocket-science. Actually everyone can tell a story. Telling the right story, however, can get a little tricky! Here is what you can try, the next time you have to talk about your business. Every story has a beginning and every business has a birth story of its own! Businesses could have various triggers – personal, societal, environmental, incidental and situational. Sometimes born out of an opportunity, or a specific need, a talent, a niche, or expertise in a specific domain, most women start businesses with a specific trigger. For some it could be the absence of a particular product or service, a business could also be the beginning of using one’s experience and talent professionally instead of vending it out as a freebie for friends and family. Look closely at what you are doing. What made you turn into an entrepreneur? When, why and how did you decide to get into business? Even if you have inherited a family business, trace your roots to the beginning of the story – how did your great grandfather start this business? Antiquity and nostalgia are very novel elements of storytelling. Remember how the phrase, Once Upon A Time…makes you feel? Well, think of yourself as the lead character of your own story. And then tell us how this character went on to reinvent the wheel and start a business! 2) You Are A SHERO! Well, I would say that you are the Hero of your story…but since I am writing this after a SHEROES event, it is just appropriate I call you a SHERO! The truth is that no matter what I call you, you are really the lead character of your own story. Believe your story. Love your story. Be truthful to your story and most importantly, own your story! Most of us fail to do just that. We don’t look at ourselves as storytellers. We don’t look at ourselves having stories worth telling. And we certainly look at ourselves as the ‘SHEROES’ of our own stories! No matter which story you choose to tell, your own belief in your story is what matters the most! Your story is yours and there are more than any credible reasons to feel proud of it. So stand tall and show that you own your story. 3) Why You Do What You Do? Why were you compelled to design comfortable, affordable shape wear? Or why do you have a fetish for celebration? Why are you obsessed with eco-friendly products for children? Why do you want to transform the life of the average karigar with your jewelry line? There is always a WHY in every business and there is always a story behind it! Every business is in the business to earn profits. But that is really the end of the story. The ‘why’ to your story shows what makes you different from competition! Why should I believe you when you say that you are the best in town? Or why you are there anyway? This is not about your success story rather it is the story of people who were living without your business. How was the market before you started your business? What were the typical complaints that people had with existing products? Jog your memory, trace your experience and identify the anecdotes that answer these simple questions and there you have the story for your WHY! While I have retained my storytelling genes from television, what I miss about the visual medium is that there was always something to show every time we told a story on air. The power of the visual is all pervasive but that is no reason why we cannot ‘show’ while we are telling! Don’t show facts and figures on PowerPoint presentations. Don’t show statistics on how your products are faring. Don’t show pictures of your designs and talk about how they are revolutionary! Let your audience touch, feel and experience your products. Give them a real slice of your life. And tell them the story of what has gone into making that product. Every product has a story of its own. If it is a customized piece of office stationery, or a masterpiece crafted for a special baby shower – there ought to be a story behind how your client wanted something special and how you went about creating it for your client. This is the beginning of your ‘Brand Story’. Your audience must want to buy your product. Your investor must believe that you are building a brand. So ‘Show & Tell’ your story. I always believe that memories and dreams make the greatest stories. The former is reflective and deductive, the latter is aspirational, challenging and motivating. As a business owner, everyone has a dream, a plan and a vision. When you tell your business story, spell it out. How do you see the world, where do you want to take your business, who do you see there with you? This is the operative part of the business plan, like Prajakt said. Where do you want to be in the next 5 years, how would you scale up your business? What sort of revenues are you looking at? To the business owner in you, I won’t say, “Dare to Dream Big”, rather I’d say, “Dare To Tell”. Show the future with pride and optimism. Most importantly, share the story of how it matters to you the most. So you want to make your product a global brand? Do you dream of diversifying your range of services to include new clientele? Are you a baker who dreams of having a bakery show of her own? Or do you want this business to be the beginning of an enterprise? 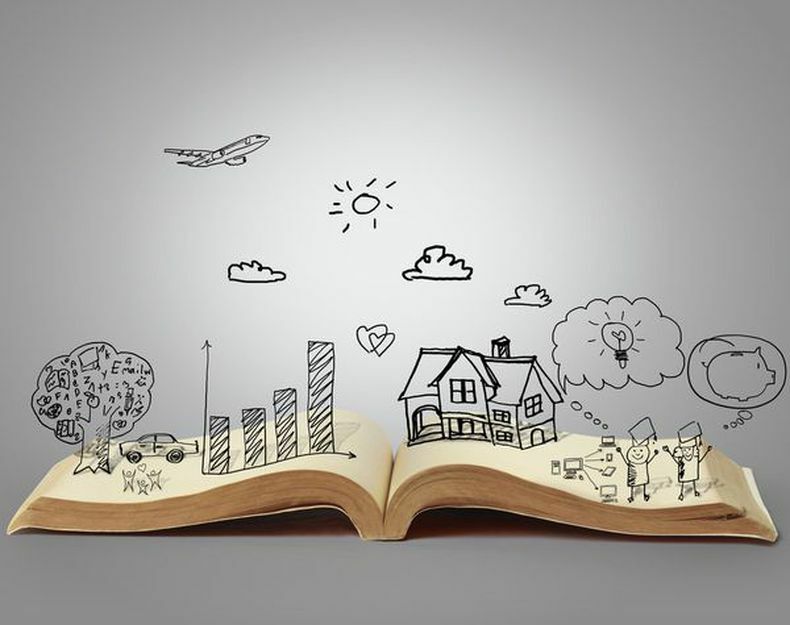 My dream is to instill a love of storytelling in everyone – from a child, to adults, to businesses and corporates. I want everyone to nurture the storyteller in them and tell compelling stories that lets them communicate and share their ideas and lives effectively. And so I want to take storytelling to schools, business owners, corporates and individuals – anyone who wants to know how to tell her / his own story! Like me, your dreams are in your heart, so tell your story. If you have told your story (ies) so far, then chances are that you have already won your audience. By now, they want to know what you need. Every business needs something. Mine needs clients who believe in the power of storytelling and want to invest in it! You may need funds. You may need partners. You may need expert advice. You may need a sounding board. Were Ankur, Prajakt and Swati looking for stories? I can't answer that for them. But if anyone would have shared their business story instead of a plan, I think they would have curled up for it willingly! Do you have to tell so many stories? Always? Every single time? The answer to that is not a simple one again. All you need is ‘your story bag’, your magical set of stories, little gems that you pull out every time you have talk about your business. What goes into ‘your story bag’, well that’s another story! For Rituparna, storytelling went from being a professional hazard to a parenting hazard and back! Always sniffing for a good story to tell, Rituparna feels that her past life as a journalist and television producer taught her the power of good stories. In her current avatar as a writer, editor and professional storyteller, she has discovered why it is important to tell a story! As a parent keen on raising a reader and story lover, Rituparna believes that everyone needs storytelling skills, to make sense of the world, and give shape to their own ideas! There is a child in each one of us and this is why she enjoys telling stories to children, adults and corporates alike. She dreams of a world where everyone connects over a story. And really, having re-discovered the child in herself, she has deeply avowed never to grow up again!